Did you know that more than 400 billion LEGO bricks have been produced since 1949. I really didn't understand how big of a deal this whole LEGO thing is. For children, it's serious (at least for my children) Here are some quick facts: The LEGO mini-figure represents the world's largest population of people! This is almost 12 times the population of the United States! LEGO mini-figures are out of this world, literally. *The two Mars Rovers have an image of the LEGO mini-figure etched into their front grill. *Approximately seven LEGO sets are sold each second. There are about 62 LEGO bricks for every one of the world's six billion inhabitants. *Laid end to end, the number of LEGO bricks sold in a year would reach more than five times around the world. *There are 915 million ways to combine six eight-stud LEGO bricks. 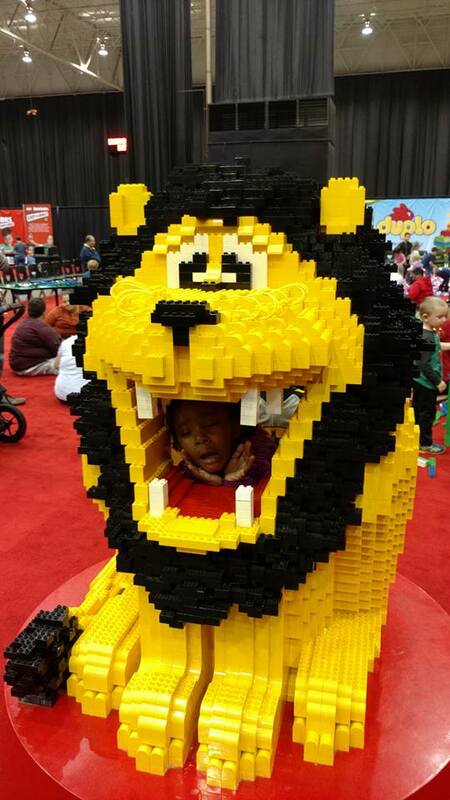 *Children around the world spend five billion hours a year playing with LEGO bricks. *With a production of about 306 million tires produced a year, the LEGO group is the largest producer of tires in the world. *LEGO is the contraction of two Danish words, "leg godt" which means "play well". *More than 19 billion LEGO elements are produced every year. More than 2.16 million LEGO elements are molded every hour, or 36,000 per minute. 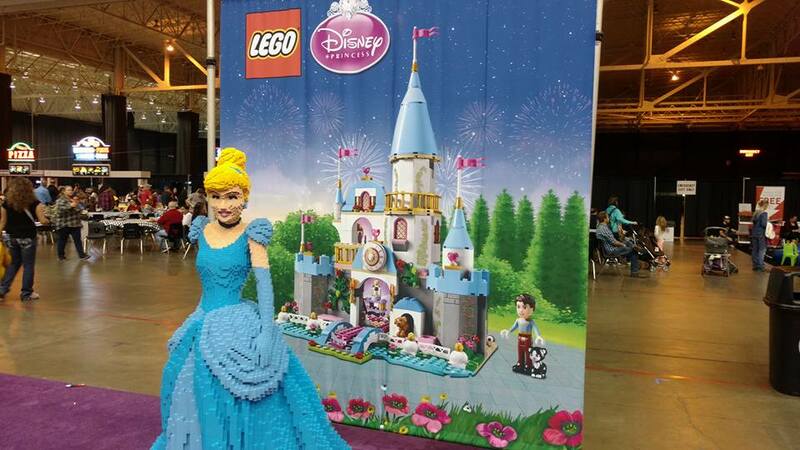 *It took 50 hours and 68,000 LEGO bricks to make the storybook in the LEGO Disney Princess at the shows. *The largest LEGO Model ever built is the life sized X-Wing fighter. *It took more than 17000 hours to build over 5m bricks and 46000 pounds. 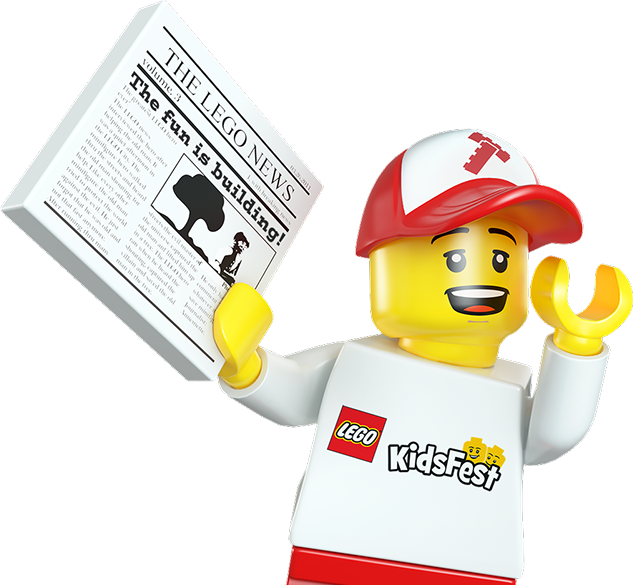 The LEGO KidsFest is a traveling LEGO extravaganza featuring millions of LEGO bricks and dozens of hands-on, educational, and fun building activities for all ages. 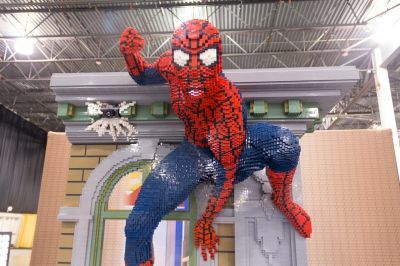 It features dozens of life-sized LEGO models and displays, LEGO building areas, the Big Brick Pile, race ramps and more, all covering more than three acres of space.